Before the premiere of the Singapore Trilogy this October, L’Arietta Productions will be presenting a short preview of the performance this July, with an all new commission and first part of the trilogy – Kopi For One! The Singapore Trilogy will feature three chamber operas, woven together by a woman reflecting on her life at different ages, and her relationships with her father, fiancé and herself. Each part of the trilogy pays homage to our national obsessions; besides Kopi for One, the other two chamber operas will each surround our pastimes of food and shopping respectively, in Laksa Cantata and Window Shopping. In Kopi For One: From Page to Stage, audiences can expect to be one of the very first to catch excerpts from the eponymous chamber opera by Dr. Chen Zhangyi (composer) and Jack Lin (librettist), as they bear witness to a father and daughter attempting to rekindle their relationship over a humble cup of kopi, set in a kopitiam run by a ‘kaypoh’ but charming waitress. In a society and culture encouraging actions over words of love, how can the two learn to express their true feelings to each other as they reunite? 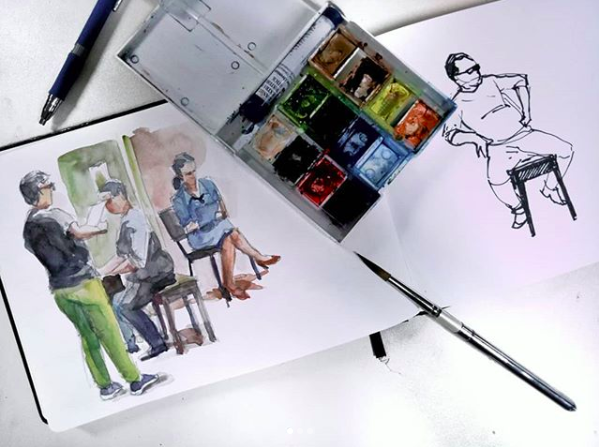 Alongside these excerpts, audiences can also hear from the creative team themselves about the origins of these stories and the music, as well as indulge in artwork of the heroes by collaborating artist Alvin Mark Tan. Kopi For One will be directed by theatremaker Nora Samosir, with music directed by Aloysius Foong, and star Melissa Chan, Akiko Otao, and Jonathan Charles Tay. Get a taste of L’Arietta’s modern, fun take on opera as they preview this exciting new local production, sure to tug at your heartstrings and give you a hankering for a steaming cup of kopi-o gao!